Boo! It looks like Halloween has snuck up on us again this year. Whether you’re passing out candy or supervising a trick-or-treating trot around the neighborhood, make sure you make the most of this fun and festive holiday. 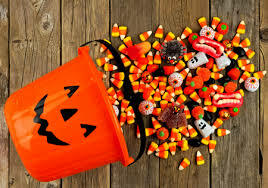 Provided is a list of the most festive ways to spend your Halloween. Visit a haunted house: Visit a haunted house…if you’ve got the guts! Haunted houses aren’t for the faint of heart as goblins and ghouls lurk around every corner, but maybe you have what it takes to do it this year! But be warned…haunted houses feed on fear! Go to a cider mill: So maybe you aren’t the haunted house type, few are! Relax this year by visiting a cider mill and indulging in warm, sugar coated donuts and gulp down a warm glass of apple cider. Look around for cider mills that offer horse drawn hayrides to really submerge yourself in the spirit of fall. Carve pumpkins: It is NEVER too late to carve pumpkins. Maybe you already have a few pumpkins carved, so what’s one more? Be creative and dig right into Halloween by carving out the perfect jack-o-lantern! Get lost in a corn maize: If you’re looking to test your wits (and patience) then look no further than the crossword puzzle of the fall by getting lost in a corn maize. You’ll want to give yourself adequate time to find your way out, but this is a great family activity! We hope that this list provides you with enough ideas to get in the Halloween spirit to make the most of the holiday! From the team here at Stran, we would like to wish you a safe and spooky Halloween!